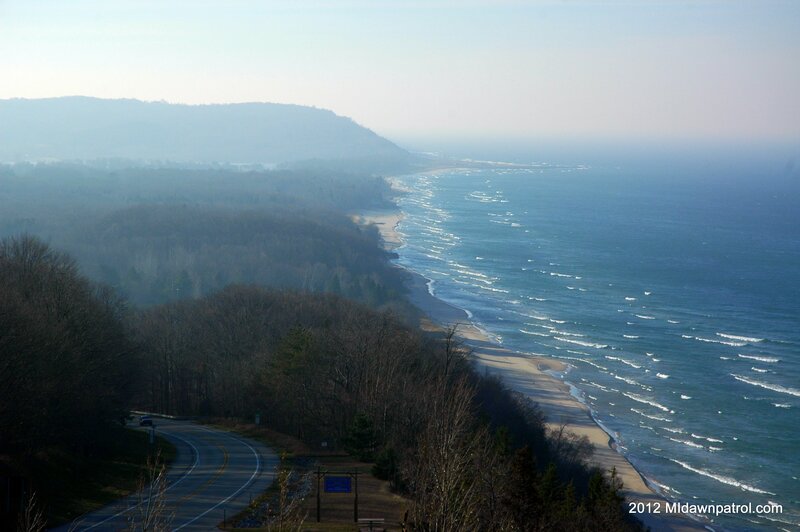 Located between Arcadia and Frankfort, Inspiration Point is one of the best scenic overlooks in Northern Michigan along M22. There were many things to be thankful for this year. Family and friends of course but the big suprise was the warm weather, sun, and south wind that brought the kiteboarders, stand up paddlers, and surfers out to Lake Michigan this year. I said goodbye to my wife early Thursday morning and headed up to Frankfort on a solo mission to catch what could turn out to be the last warm(ish) session before the snow falls.The drive from Manistee to Frankfort is around 45 minutes depending on the route taken. Since it was a nice day I decided to take the scenic route through Onekema and Arcadia up M22. I stopped off at inspiration point to check the conditions along the lakeshore before making the final leg of my journey to Frankfort. It was around 10 AM and I was expecting a little more wind so high up on the bluff. I wasn’t too worried because the forecast was calling for 30 knots over most of the lakeshore. After watching the Lake Michigan wave action for a while I started getting anxious to set up my kite and get on the water. 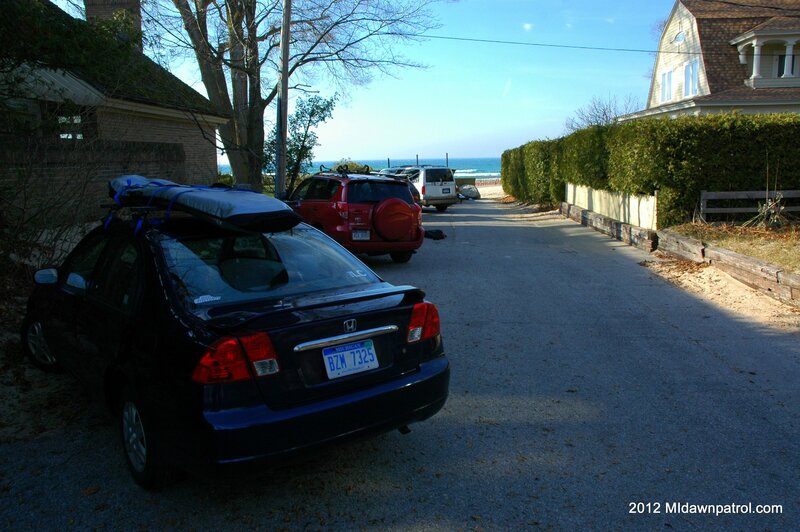 I hopped back in my car and finished the trip to the Frankfort beach in record time. wind. Curling around the elbow of the pier they were a little more than head high. 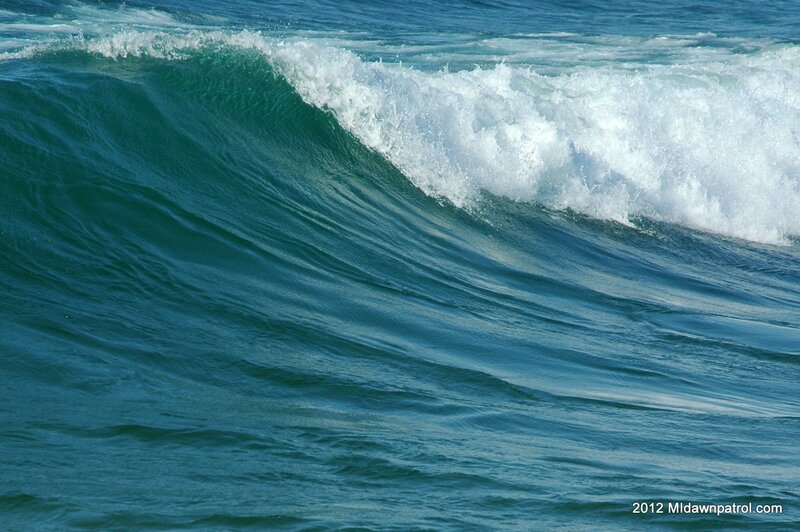 I had a good time riding in and out of the swells but after a while I found myself struggling to stay up wind. A few minutes later there was barely enough wind to keep my kite in the air so I landed and took a break. There were around 5 surfers in the water by this time so I took a walk onto the pier to get a better look at the waves. I watched a surfer paddle out past the elbow and wait for a set. I must have been sitting for about five minutes before I finally saw him get up on the wave. I thought the guy would ride for a few seconds and then drop off the wave. 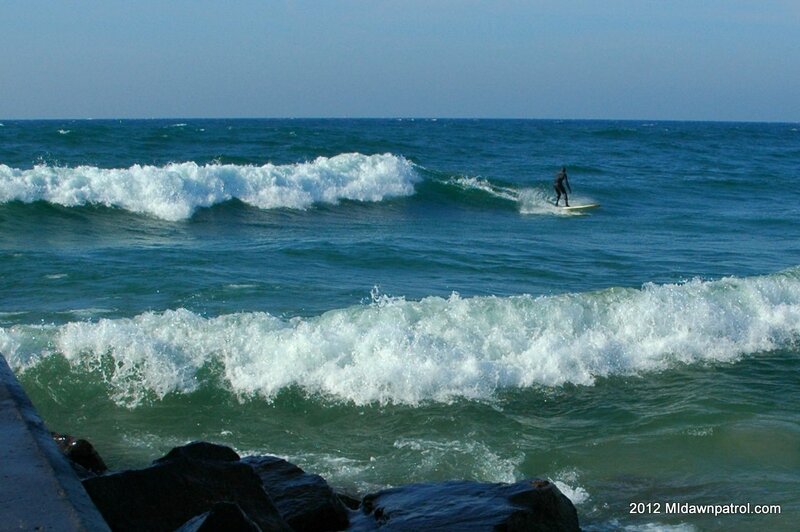 Surely no one can surf a Lake Michigan wave for more than a few seconds… I couldn’t believe my eyes when I saw the surfer staying on the wave and riding all the way into shore. 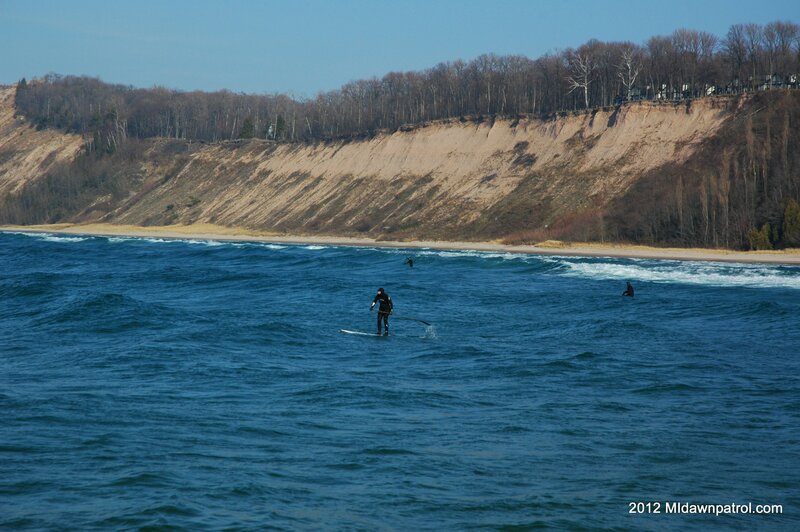 Frankfort really does appear to be one of the best surfing spots on Lake Michigan. I got some of the ride on video and took some pictures. I’ll post the video soon. I watched a few more surfers and SUPers catch some waves and then the wind came on again full force. Instead of going back out into the waves North of the pier I decided to pack up my gear and set up between the two piers and ride the butter. There is several hundred yards of space between the piers in Frankfort and that’s a good amount of room but as any kiter knows you can eat up that several hundred yards pretty quickly if your kite goes down and you get into trouble. I made sure to ride pretty far upwind before boosting so that I had as much space as possible. Riding between the piers was a blast. The wind was blowing around 25 knots and with the flat water it was easy to hold an edge for boosting. I rode for about an hour before my stomach started to remind me that it was Turkey day. I packed up at got back to town just in time to shower up for dinner. A few notes about riding in Frankfort. The water is so clear and blue it is amazing(especially when one has gotten used to the muddy water coming off the Grand River in Grand Haven). Second thing to note is that there are some large rocks under the water in some places so you want to be careful not to wipe out in shallow water. I noticed rocks while riding inside and outside the piers. 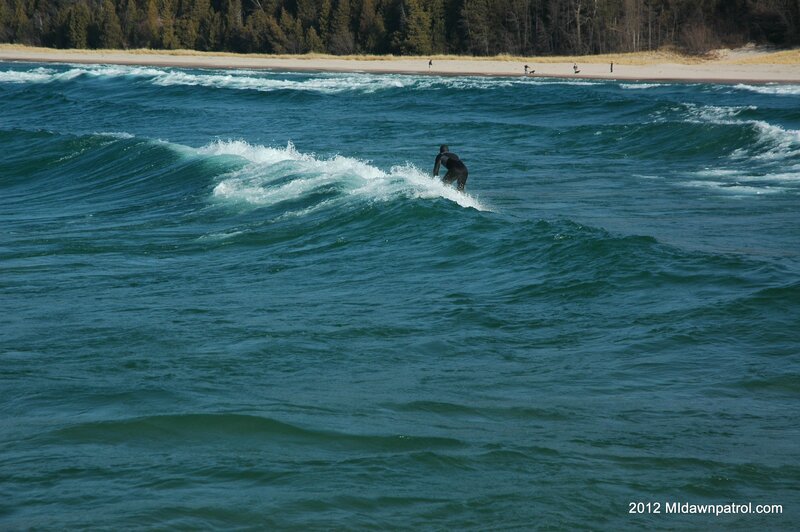 Last is that for a sparsely populated Northern Michigan town there really is a thriving surf community here. Kiteboarding in Frankfort is definitely a unique experience and I’m excited to go back after the snow melts! Previous Post Early Thanksgiving Treat?